We are often asked if we do B 12 shots for weight loss. To be accurate, there are better shots for weight loss than B12. We recommend and use a MIC combo shot that provides a combination of amino acids and vitamins to aid in weight loss. B12 shots (which we do offer for B12 deficiency) contain very high concentrations of B12, but do not have any other vitamins in them. Before we give either shot, we usually check your blood level of B vitamins. If you are low in B12, then you will feel better with the concentrated B12 shot. If your B12 level is normal to high, adding more B12 will not make you feel any better or aid in weight loss. Methylcobalamin, pyridoxine, niacin, riboflavin and thiamine, which are B vitamins that help prevent fatigue while you are on a calorie restricted diet. Our formula also contains lidocaine to ensure that the injection is comfortable. If you are receiving B shots for weight loss, please ask your provider if you are getting B12 or a B complex. If it is just B12, be sure that the doctor monitors your blood levels so that you do not get too much. For more information, we offer consults at (813) 902-9559 or (727) 278-3992. 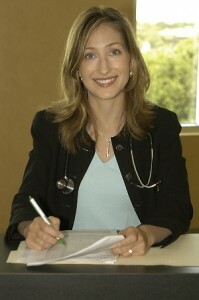 Anne Hermann, MD is double board certified in Nutrition as well as Internal Medicine.